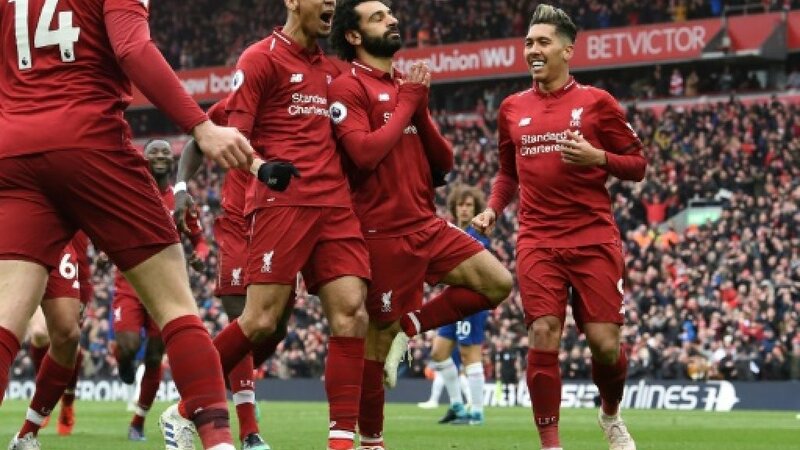 Liverpool powered back to the top of the Premier League after Mohamed Salah’s stunning strike clinched a 2-0 win over Chelsea on Sunday. Jurgen Klopp’s side had surrendered pole position a few hours earlier when Manchester City won 3-1 at Crystal Palace, piling pressure on the Reds to respond as the title race heats up. Liverpool rose to the challenge as Sadio Mane’s opener five minutes after the break and a blistering long-range drive from Salah two minutes later moved them two points clear of second-placed City on a raucous afternoon at Anfield.